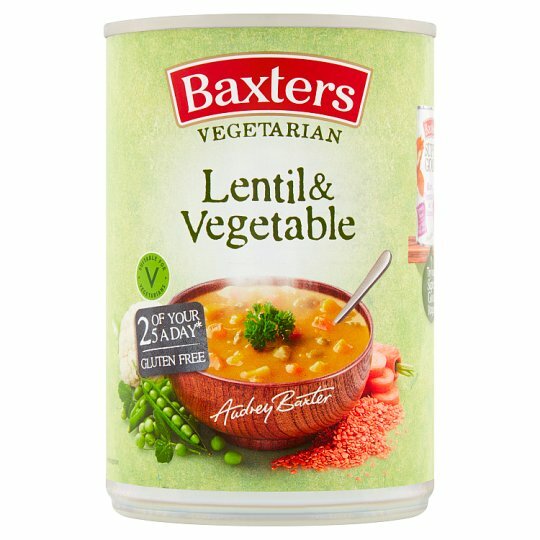 "This truly comforting soup has been made using a medley of nourishing vegetables and a generous helping of protein packed red lentils. All gently simmered in vegetable stock, until soft, tender and full of flavour." *Per can. Aim for at least 5 different portions of fruit or veg a day. Cooking Instructions (General): Please Note: All cooking appliances vary. This is a guide only. Check product is piping hot before serving. Do not reheat once cooled. Hob (From Ambient): Empty contents into a saucepan and heat gently for 3-4 minutes, stirring occasionally. Do not Boil.